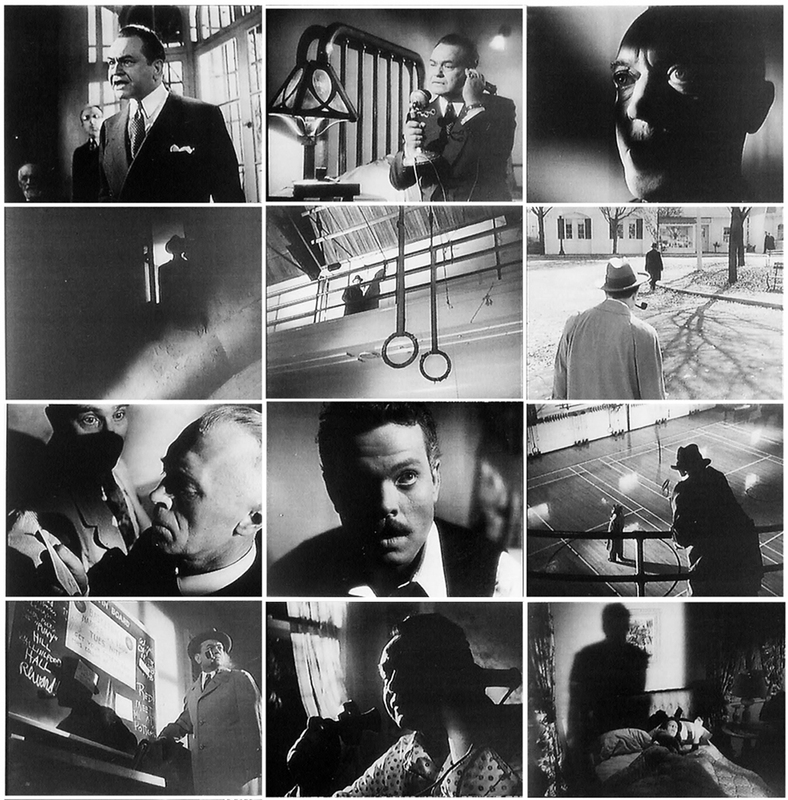 THE STRANGER, released may 25, 1946, is a visually very interesting film, full with stunning camera-angles, very effective use of light/shadow and just masterpiece picture compositions. 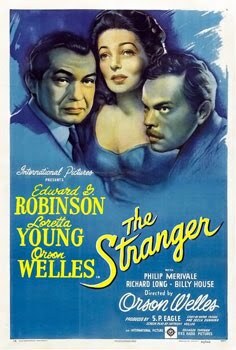 directed by ORSON WELLES, cinematography by RUSSELL METTY and music by BROWNISLAW KAPER, it stars ORSON WELLES ( franz kindler/professor charles rankin ), EDWARD G.ROBINSON ( mr. wilson ) and LORETTA YOUNG ( mary longstreet rankin ). a short synopsis – mr.wilson, a united nations nazi hunter, is on the trail of franz kindler, mastermind of the holocaust, who has taken on a new identity as a professor in harper, connecticut and marrying mary longstreet. wilson releases kindler’s former compatriot meinike and follows him to harper, where he is killed before he can identify kindler. now wilson’s only clue is kindler’s fascination with antique clocks. Just watched ‘Citizen Kane’ for the first time in my history of film class. I have a new fascination and appreciation for Orson Welles and I’m glad to see you share it. The Cinematographer he worked with on that film, Gregg Toland, was also very talented and tolerant of Welles’ lack of technical knowledge. I loved seeing the behind the scenes photos of Orson and Gregg in a hole they dug in the floor of the set to get an extreme low-angle shot. Relentless! Makes for a darn good movie. in all of welles’ future films. I hope you have a chance to see and analyze all of his films, especially MACBETH, THE TRIAL, MR.ARKADIN and TOUCH OF EVIL. 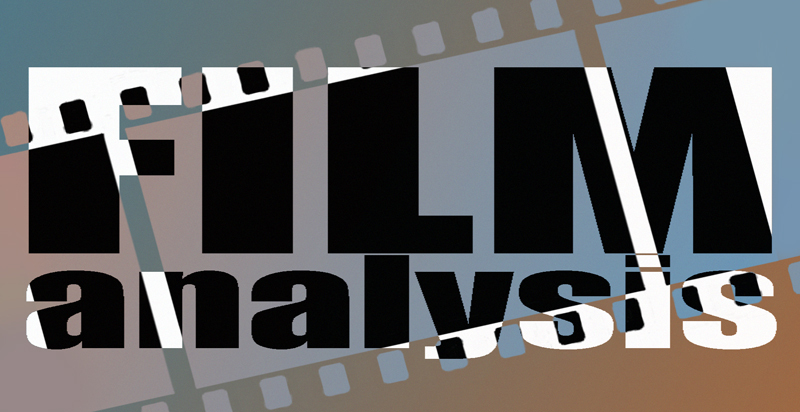 My teacher calls Welles and Toland ‘a match made in filmmaking heaven’. We got to watch the opening sequence of TOUCH OF EVIL today. The length of that take is unreal! They really did some spectacular stuff. I gotta say, the suspense of the time-bomb in the trunk had me on the edge of my seat until the main character ruined it with his cheesy one-liner, “Do you know it’s been over an hour since I kissed you?” Gah, talk about killing the mood. Regardless, I’m very excited to see the rest of that film and the others you mentioned. Thanks for the recommendations. By the way, your production design book has been majorly influential for my artwork. Sometimes I just carry it around in my backpack, hoping that I might absorb some of your ‘poetic simplicity’. If you ever make your way to Austin, TX, be sure to stop by the UT communication school and say hi. thank you kevin. I would have to fly around the world… my back would kill me!